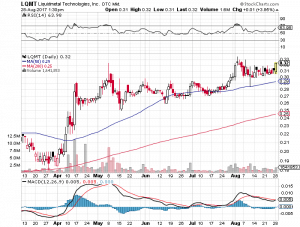 I am keeping a very close watch on $LQMT, which is the best penny stock to trade IMO at the moment. I previously discussed this stock HERE when it made an initial ramp up on volume to $0.32. The chart I alerted earlier this month is shown below. Since the start of August we saw a pullback and consolidation base starting to form around $0.31 per share. Today we have seen a nice bullish candle forming on decent volume. I am anticipating a breakout of the $0.32 level which should see this stock make new highs towards $0.5 per share. 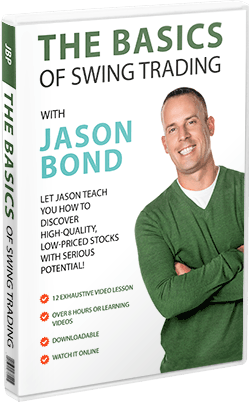 A fair bit of resistance needs to be overcome but this swing trade should work given time! Todays price and volume action is very promising! I really like how this company has over $50 Million in cash and the CEO has a very solid track record in this space and even owns another company with a billion dollar valuation. From a fundamental point of view this is very reassuring. 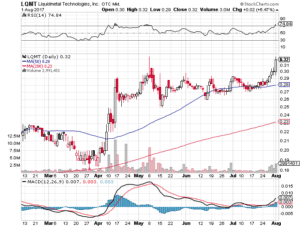 Recently one of my stock trading mentors, Jason Bond, did a radio interview and blog post on why he thinks $LQMT can run up past $0.7+. Jason Bond has held a swing position in this stock for a year now and believes that it has potential to continue higher due to the presence of a major shareholder (amongst other reasons) who has ties to Tesla. The potential catalyst includes a licensing deal with Apple and of course, if such a deal happens we would see this small company really become exceptional.